CoinList was founded in the midst of a cryptocurrency craze filled with a bunch of people talking about Bitcoin, and learning more about blockchain, altcoins, and the details of this type of new technology. The company calls its product “financial services for the next generation of technology companies”. So, what exactly is CoinList and what is the service the company offers? I’m glad you asked. CoinList can be described as a new exchange that standardizes the ICO process. An Initial Coin Offering (ICO), similar to an IPO, is a crowdfunding effort for a new cryptocurrency venture. Investors give a sum of money to the new company, and receive units of the new token in return (instead of stock). The ICO process is currently unregulated, and the SEC has their eyes on ICOs. In general, fundraising is extremely time-consuming and requires a lot of effort. Using CoinList allows these token creators to focus on what they are doing best: creating and developing world-changing products! The strategic catch with CoinList is that it’s not just anyone who can invest in a new cryptocurrency: only accredited investors can use the platform and trusted infrastructure. The firm’s standards are very high, and “accredited investors” must make over $200,000 a year and have a net worth of over $1 million. To be an investor or a token seller on CoinList, you must go through a rigorous diligence process with the firm’s market advisory and technical committees to ensure that the CoinList network is filled only with intelligent ideas and people. A huge problem with raising funds is that unsophisticated investors who don’t understand the technology tend to drive more volatility. CoinList connects new cryptocurrency startups to people with experience in cryptocurrency investing who have a lot to spend and who know what they are doing. CoinList’s services also comply with SAFT. SAFT stands for Simple Agreement for Future Tokens, and it is “designed to meet existing securities regulation”. The regulation question is whether to treat cryptocurrencies as securities, which would subject them to much heavier regulation. So it’s a fantastic thing that CoinList complies with SAFT, since there is bound to be more legal work done on this technology and these processes in the future. CoinList does the marketing for your new token as well! You just have to provide the material and details about your new technology to CoinList, and then CoinList dedicates a portion of their website to market your venture! And they must be doing a good job. Coinlist was founded in 2017, and already the company’s infrastructure has facilitated $850 million in investments! Their service is flexible and individualized as well for any digital asset company! CoinList can handle just the compliance workload of the ICO, just the sales aspect, or run the entire process. CoinList’s mission is to make investing in new tokens safe and to make the ICO process as easy as possible. The firm hopes to “ensure the next generation of blockchain-based companies are born without regulatory issues”. The founders and employees at CoinList have years of startup investing experience and a good and proven reputation in regulatory compliance to help them fulfill their mission! SIDE NOTE: if you are interested in learning about the newest cryptocurrencies, on their website there is a portion on the homepage where you can sign up for email notifications about new launches with CoinList! What is Blockchain, and How Does it Differ from Cryptocurrency? In order to understand what CoinList does, it helps to understand the world of blockchain and cryptocurrency. This type of technology is very confusing and quite complex. And it’s okay to be confused. After all my research, I still honestly think that I don’t entirely grasp the concepts and have a hard time picturing what exactly it is. But I’m going to do my best to explain this in the most simple way possible so that you can understand just exactly where CoinList fits into these transactions. According to a PWC research article, Blockchain is the technology that enables cryptocurrency to exist! It is an extremely efficient way to keep records of transactions. Cryptocurrency is a “medium of exchange”, like a US Dollar except digital. Bitcoin and Ethereum are the most widely known cryptocurrencies, but plenty of other types exist and they are known as altcoins. Popular altcoins include Tezos, Monero, Ripple, and Z-Cash. Many people are treating cryptocurrencies as investment securities: they purchase them, hope for the value to appreciate, and sell them for a profit. Some altcoins sell for half a cent while Bitcoin has reached $20,000. I did a bunch of research about cryptocurrency investing at my last internship, and I built a portfolio on the side (for a nice return, I must say) as I learned more and more about them. The volatility of the cryptocurrency market is incredible. It’s not uncommon for a token to gain or lose $100 in value in the matter of minutes! One day this summer in August, Monero jumped from $40 to $140 in the span of 20 minutes. This is so different than what we are used to seeing in the equity market. You can purchase cryptocurrencies on digital exchanges. Some widely used exchanges include Coinbase, Kraken, Poloneix, and HitBTC. Blockchain is a tough concept to grasp, but please refer to the infographic from the PWC article below. It does a great job explaining the process of recording transactions. First, a transaction is requested. That request is sent for validation to all users in the blockchain network for approval. Think of the transaction as a record (row) in a database, and in blockchain technology, that row is called a “block” of data. When all network users approve, the block is added to an existing blockchain in a permanent matter. The transactions are linked and secured through cryptography. Each block includes the time the transaction was requested and other data. I hope I helped to clear up this distinction! The founding of CoinList is a bit unconventional. The platform was built jointly by two other companies in San Francisco, Protocol Labs and AngelList. AngelList is a funding platform that connects investors and startups, while Protocol Labs is a creator of “groundbreaking internet protocols” like Filecoin. The founders of AngelList and Protocol Labs, Naval Ravikant and Juan Benet, collaborated directly to build this platform. Protocol Labs was the first to use CoinList in August 2017 for their coin offering with the new cryptocurrency named Filecoin. Filecoin is a “blockchain based storage network and cryptocurrency” whose mission is to make use of unused data storage around the world. Anyone can put their unused storage to work by hosting files for Filecoin, and the company will pay data hosts with Filecoin units in return. Filecoin successfully raised $205 million from more than 2,100 investors through using CoinList and through its own efforts. CoinList officially became its own separate legal entity in October 2017. Andy Bromberg is the current CEO of CoinList. He is also considered a co-founder. More details about Bromberg to come later in this blog post! CoinList is only a four-month old company, so there isn’t much data about their financial performance publicly available. But the statistic I used earlier screams success: the young company has already facilitated $850 million in investments in a very short period of time! They have to be doing something right, and they must leverage network effects to their advantage to expand: the more companies that use CoinList for token sales, then there will be more investors that will want to join and invest, and then CoinList’s network of investors and startups will become more powerful and more useful! The firm also has a vision to expand its services. According to CEO Bromberg, CoinList wants “to provide an ever-broader set of financial services to these companies: secondary trading, market making, and much more.” Their current focus is in 3 areas: compliance, tactical execution, and marketing. The ICO sponsorship industry is still undefined. But there are companies that are doing things similar to the service that CoinList offers. Some of CoinList’s principal competitors include Republic, BlockEx, TokenSoft, and Indiegogo. Republic began in 2016 initially as an equity crowdfunding platform. It recently added a crypto token platform using their “Token DPA Instrument” (DPA stands for debt payable by asset). Republic has already sponsored some ICOs, including YouNow’s token sale, in which the firm facilitated $1.07 million worth in investments. 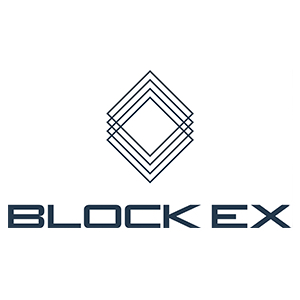 BlockEx is a new ICO platform that differentiates itself by offering token issuers consulting on “their white paper and token economics” if the company believes that the issuers are working on a worthy idea. An interesting feature of this platform is the “book building software” which provides aid to the issuer in gauging potential investor interest. This also helps them to find and set a price for the offering. One drawback is BlockEx doesn’t offer marketing services (which is probably the most crucial aspect of an offering), but they will organize events and shows for the startup to pitch their new token. TokenSoft focuses on providing assurance services for individuals looking to launch a new cryptocurrency. The TokenSoft platform is designed so that it can answer any question the issuer’s legal team may have! In September of 2017, TokenSoft sponsored its first ICO for the biology platform Doc.AI. This was followed by a $5.5 million ICO with cooperative ownership fund Swarm Fund. Indiegogo is one the oldest and most widely known crowdfunding sites in business. Like Republic, Indiegogo recently expanded their platform to ICO services. I see this firm as the competitor that CoinList should be the most worried about, since its proven success and good reputation could attract many entrepreneurs looking to launch new cryptocurrencies. Unfortunately, we will not be visiting CoinList on our adventure to Silicon Valley. However, we have the privilege to meet with the founder and CEO of CoinList, Andy Bromberg, for a dinner Sunday night to kick off our trip! In addition to finding CoinList in 2017, in 2012 he founded another company, Sidewire, which is a political news analysis platform available in the iOS marketplace! According to his LinkedIn profile, he studied mathematics and computer science at Stanford and he currently works as a research scientist for the Stanford Bitcoin group. He went on leave at Stanford in 2014 to run Sidewire, and then left Sidewire to run CoinList. I’m extremely excited to meet and chat with him! The regulatory environment is still uncertain about ICOs and cryptocurrency trading in general. In your opinion, what rules could be possibilities in the future, and how does your firm plan to react to these new laws? We have seen scrutiny by international governments, in particular South Korea and China, about cryptocurrency investing. Do you have plans to expand outside of the US, and if so, what challenges do you expect from international regulations? I’d like to know more about their diligence process. What kind of metrics do you judge investors who want to join CoinList? How about for companies looking to run an ICO with a new token? How long does the process last, and exactly what steps are involved? A question directly for Andy: what made you want to leave Sidewire to run CoinList? It could not have been an easy decision. Did you believe in CoinList’s mission to a greater extent than that of Sidewire? Many existing equity crowdfunding platforms have also added ICO crowdfunding capabilities. If a bunch of these companies make this addition, the landscape could become competitive and saturated quickly. Do you see this as a potential threat? My presentation on CoinList is on February 21st. I’m also meeting with a current BC student who interned at CoinList and is returning for a full-time position there. He works in Account Management and Investor Operations. I hope to learn some unique details about CoinList that can’t be found through online research that I will be sure to include in my PowerPoint. I can’t wait to present this company to the class! Great post! The ways in which many cryptocurrencies have started typically involved the creator owning a fairly large percentage of the currency’s supply (Bitcoin’s anonymous creator acquired 980,000 bitcoins in its beginning – nearly 5% of the supply limit). Obviously this can be very detrimental to a cryptocurrencies growth and longevity, so it’d be interesting to know how Coinlist handles this. Also, I never considered that uninformed investors are a major reason cryptocurrencies are so volatile, although it makes a lot of sense. Looking forward to your presentation! Reblogged this on Tech Trek. Dan, what a great post! When I blogged about blockchain and bitcoin, I didn’t explore ICO’s at all, so this was VERY informative for me 🙂 It would be really cool to visit CoinList, but I think our dinner with founder and CEO Andy Bromberg will be an equally great if not better experience! Also, Kliener Perkins did Series B funding for AngelList, so I’m sure they will have some insightful perspectives and info to offer on CoinList. Thanks for breaking down this company for me, I’m looking forward to your presentation. Awesome work Dan! Your post could not have been more timely. I’m currently working on a blog post about real world applications of blockchain, which companies like CoinList help to make possible. I’m a bit skeptical of cryptocurrencies because of their volatility, but I believe that blockchain could certainly transform the way businesses is conducted. The part where you discuss how CoinList is helping entrepreneurs focus on developing their ideas really stood out to me. This service is much needed to simplify the ICO process and encourage blockchain innovation. Could platforms like CoinList become the future of investment banking? This is a really sophisticated topic which you clearly have a great understanding of. I’m looking forward to your presentation. Stay tuned for my blog post! Nice work! I’m glad you got such a jump on the blog before your presentation. Great post! At the beginning of your post, I was thinking to myself that CoinList was oddly similar to AngelList in its name, functionality, and mission. I didn’t know that it was a project of AngelList! CoinList, alongside other projects like Chamath Palihapitiya’s Social Capital Hedosophia, are at the forefront of disrupting the means through which companies can raise funding and it’ll be interesting to see other developments in the space. This is such a great post! The regulation is super uncertain because in a stroke of the pen, or a news headline of rumors, the entire environment can change. ICO’s are still extremely scary and unregulated investments, so I wonder exactly the process that Coinlist goes through to vet candidates. I know I subscribe to a email update called Crush Crypto (Would love to give you the email list, its great) and he tries to evaluate each new coin as it is listed, and it amazes me how sometimes a coin can raise millions of dollars with no actual product or software. However, I like how you highlighted Coinlist’s investor standards, it is probably good that they don’t invite kids on the “get rich quick” mentality. Would love to talk crypto with you more! Nice post Dan. It was nice talking to you earlier about ICOs vs. IPOs and coins vs. stock. It is interesting to see how there was so much initial hesitation with coin offerings but now it seems like so many companies are eager to dive into the space. I am particularly excited to visit CoinList on our trip to the Valley and I hope learn more about the industry and where these leading thinkers see their industry heading. DAN, great post! You did a great job on elaborating on the concept of ICO. Your post really helped me understand the distinction between ICO and blockchain and was really helpful while doing research on ProtocolLabs. It was quite a ride to see how many ICO’s happened with the boom of cryptocurrency and blockchain technology last year. Can’t wait for our dinner on Sunday with Jesse, the co founder of ProtocolLabs and FileCoin! !